When you are in a race you want first and that is the same if you are ranked and there are so many rankings out there. 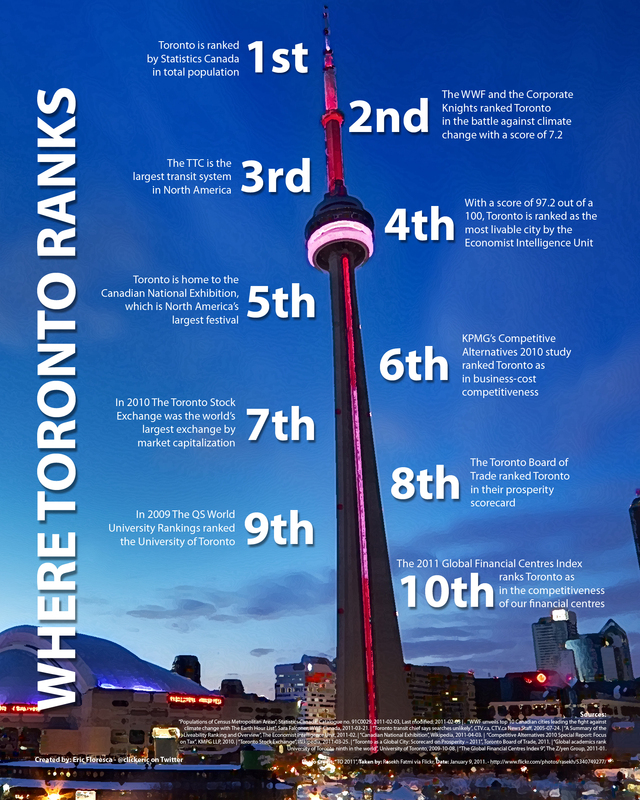 So since there is a list for everything and I thought it would be interesting to see how different organizations rank Toronto and related institutions. How useful is a ranking I do not know but the simple infographic I tried making shows were Toronto ranks. This is the second infographic type thing I have done, the first was my resume and I hope they get better from here.